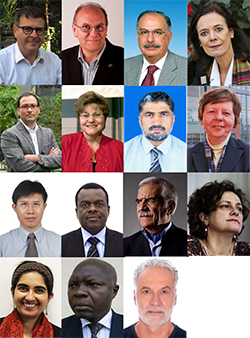 The following 15 world-renowned experts have been appointed by the Bureau of the Committee on World Food Security (CFS) to serve as members of the Steering Committee of the HLPE, starting from 13 October 2017 (after closure of CFS 44 plenary) until the closure of the CFS 46 Plenary (2019). Details on the selection procedure can be viewed here. 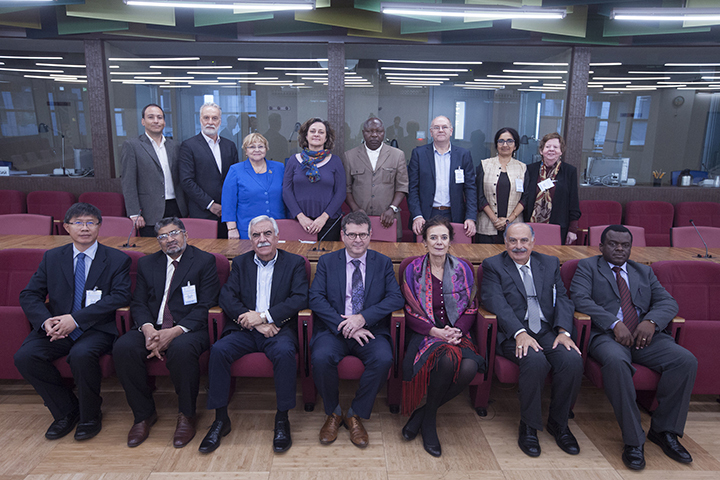 Steering Committee members: Mr Martin Cole (Australia); Ms Louise O. Fresco (the Netherlands); Mr Alex Godoy-Faúndez (Chile); Ms Maria Kadlečíková (Slovakia); Ms Eileen Theresa Kennedy (United States of America); Mr Muhammad Khan (Pakistan); Mr Xiande Li (People’s Republic of China); Mr Paul Mapfumo (Zimbabwe); Mr Mohammad Saeid Noori Naeini (Islamic Republic of Iran); Ms Elisabetta Gioconda Iole Giovanna Recine (Brazil); Ms Shiney Varghese (India); Mr Martin Yemefack (Cameroon); Mr Rami Zurayk (Lebanon). Download the short bios of the HLPE StC members here! HLPE Steering Committee members participate in their individual capacities and not as representatives of their respective governments institutions or organizations. From left to right, standing: Mr Alex Godoy-Faúndez (Chile); Mr Rami Zurayk (Lebanon); Ms Maria Kadlečíková (Slovakia); Ms Elisabetta Gioconda Iole Giovanna Recine (Brazil); Mr Martin Yemefack (Cameroon); Mr Martin Cole (Australia); Ms Shiney Varghese (India); Ms Eileen Theresa Kennedy (United States of America). From left to right, seated: Mr Xiande Li (People’s Republic of China); Mr Muhammad Khan (Pakistan); Mr Mohammad Saeid Noori Naeini (Islamic Republic of Iran); Mr Patrick Caron (France); Ms Louise O. Fresco (the Netherlands); Mahmoud El Solh (Lebanon); Mr Paul Mapfumo (Zimbabwe).